On our walk today I nearly trod in this little fella. I realy dont know how I noticed it, but thankfully I did and was able to take a photo too. Next Post The Ideal Home Show, Manchester. 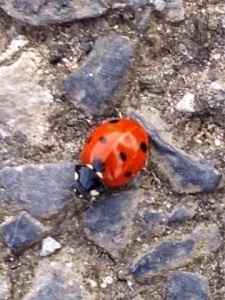 What a lovely little ladybird.